One of the great things about a Disney cruise is how comfortable the beds are in the staterooms. I woke up at 8 am thinking I had overslept, but then realized that the clocks had been moved forward. 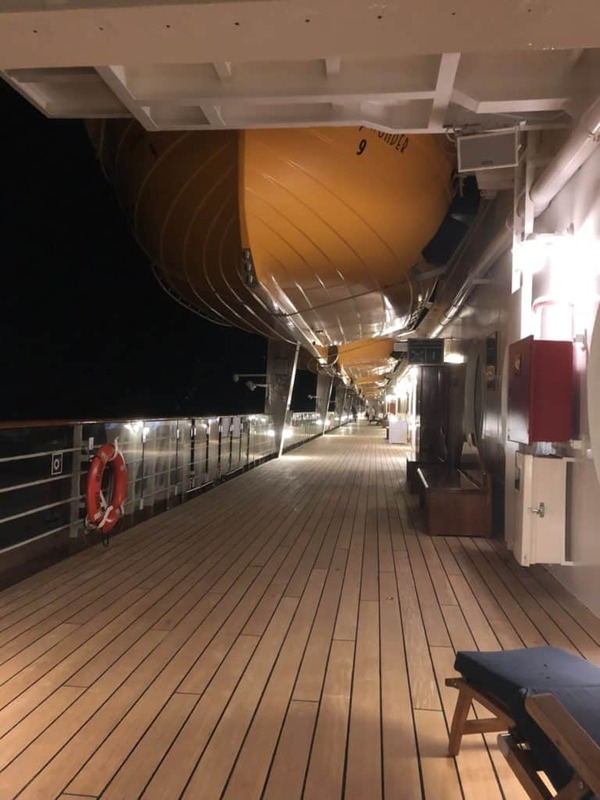 I always enjoy walking around the ship early in the morning when it is really quiet. However, that was going to have to wait for another day! 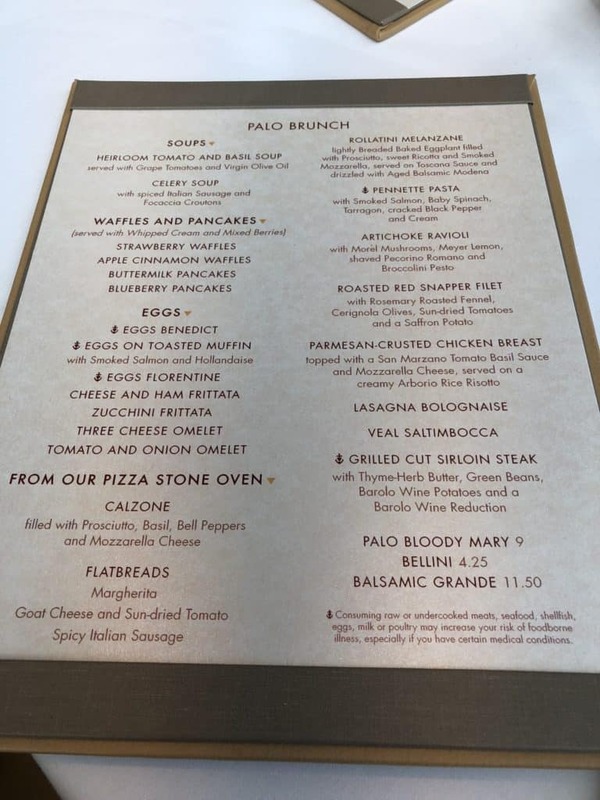 We had booked a Palo Brunch for 10 am. Therefore we decided to go up to Cabanas for coffee, but not eat anything. 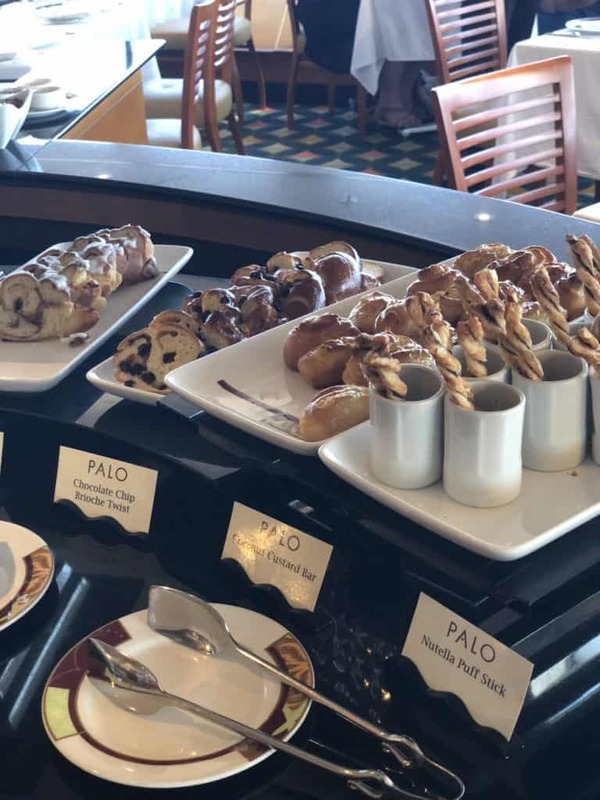 There is so much food in Palo you really don’t want to spoil your appetite in any way. but had forgotten it this time. If you enjoy coffee and don’t want to always pay for a decent one at Cove Cafe it is easy to make you own. I usually take ground coffee and then just take the Travel Press up to the pool deck for the hot water. The coffee is so much better than you will get from the buffet or drinks station. Cabanas was pretty quiet. I guess that most people were having a lie in because of the time change. DH grabbed a cup of coffee and we went back to the stateroom to sit on the balcony for a while. DH had decided that he wanted to go to the gym every day to make up for the extra calories he would be consuming. 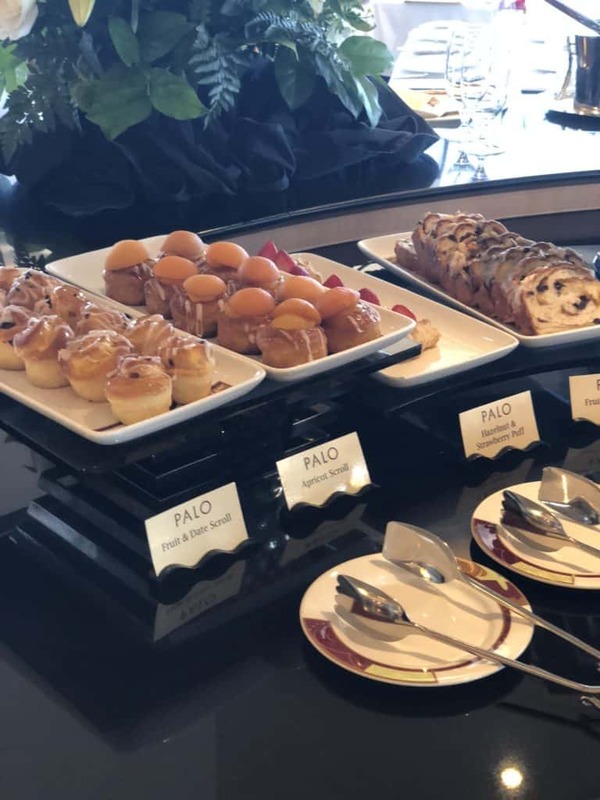 As he knew he would definitely be eating a whole lot of food at Palo he decided to go before the brunch. I was not feeling quite so energetic. I decided to go on a walk around the ship. I went back to Cabanas to get some photos, I promise I didn’t cheat and eat anything! 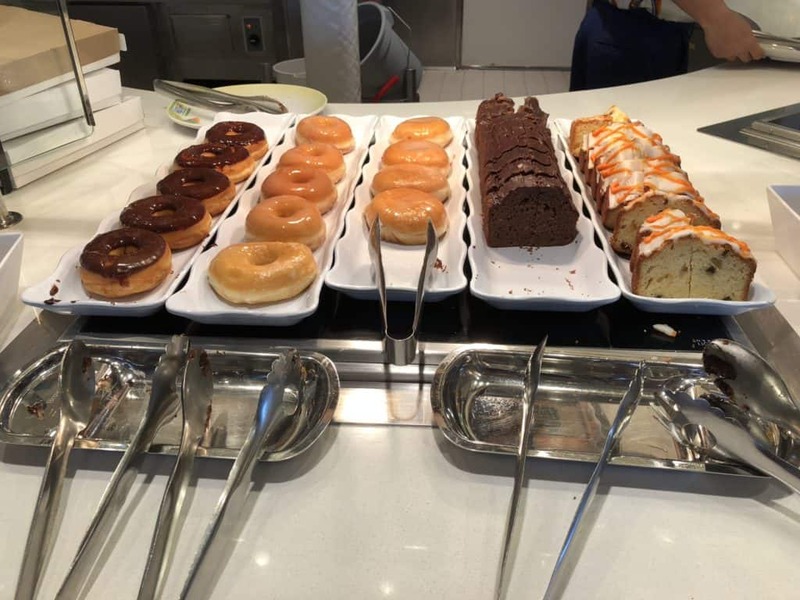 There are healthy options too. And the not so healthy. I wanted to go to Deck 4 to see if there was a Disney cruise brochure so I could look at which cruise I wanted to book next. I spend so much of my time writing about and looking at information about Disney cruises, but it is really nice having the brochure which sets down the dates so you can see them easily. I didn’t intend to stay at the Future Cruise Desk but I got talking to the Cast Member there. They have a system where you can check in now with your Key to the World so that they know who is next in line. This is a great new system. The Cast Member asked if I could check in so she could see if the system was working. It didn’t. For some reason, it hadn’t put the clock forward so still thought the Desk was closed. I decided to check on the prices of a couple of cruises. I would really like to sail on the Panama Canal cruise again. I have sailed on that a couple of times and really want to do it again. I love the 14-night cruises. Really I couldn’t make a decision right now about the next Disney cruise to book. So I did the next best thing and made a Disney Cruise Placeholder Booking. 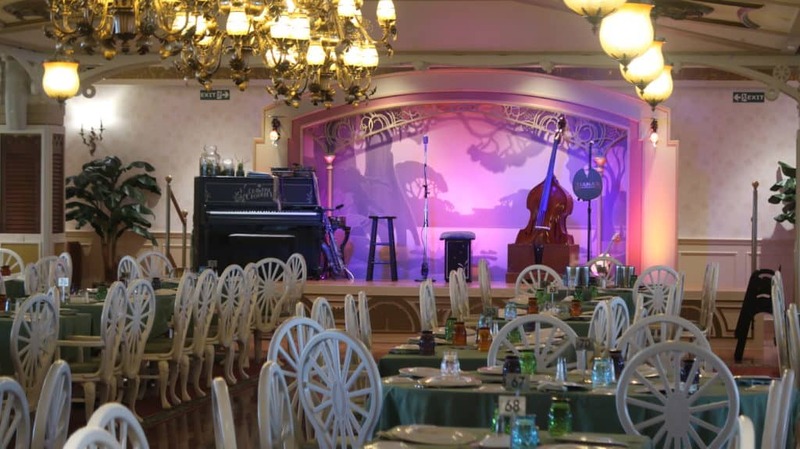 This is the easiest way to save on a Disney cruise. You get the same discounts as you would if you had booked a specific cruise on board. This is 10% off the prevailing rate and an onboard credit of at least $100. This doubles up to $200 if it is a cruise for 7 days or more. 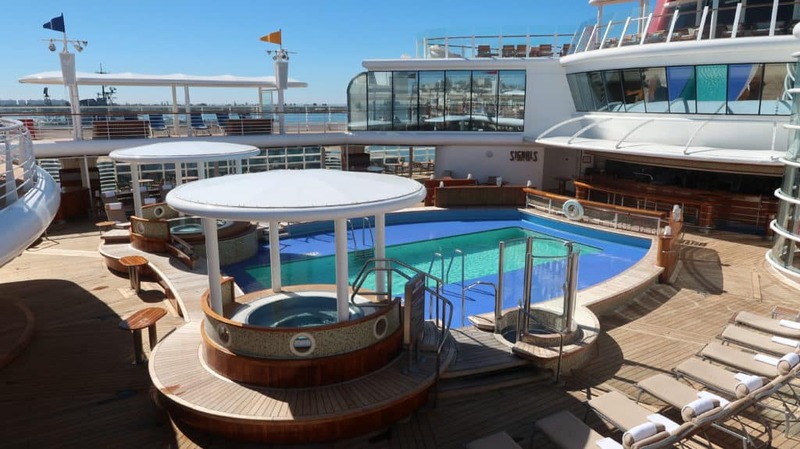 There are certain block out dates for the discounts and placeholders, but usually, you will be booking a cruise which is eligible for the discount. Concierge staterooms are not included in the discount, but you do get the onboard credit so it is still worth doing. You also pay a reduced deposit of $250 per stateroom. You have 2 years from the date you made the deposit to actually book a cruise. If you decide not to book your $250 is refunded to you. I had a nice time chatting to the Cast Member about the ship. She had just spent months in Alaska so was pleased to be seeing some sunshine. All of the Cast Members that I spoke to about this said that they loved the scenery, but that months in the cold had got to be a bit too much! 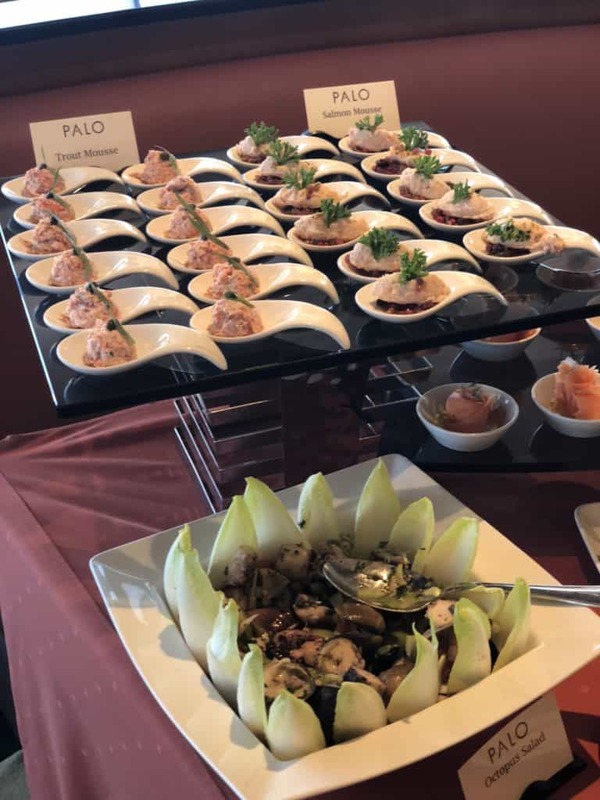 Now it was time for Palo Brunch! 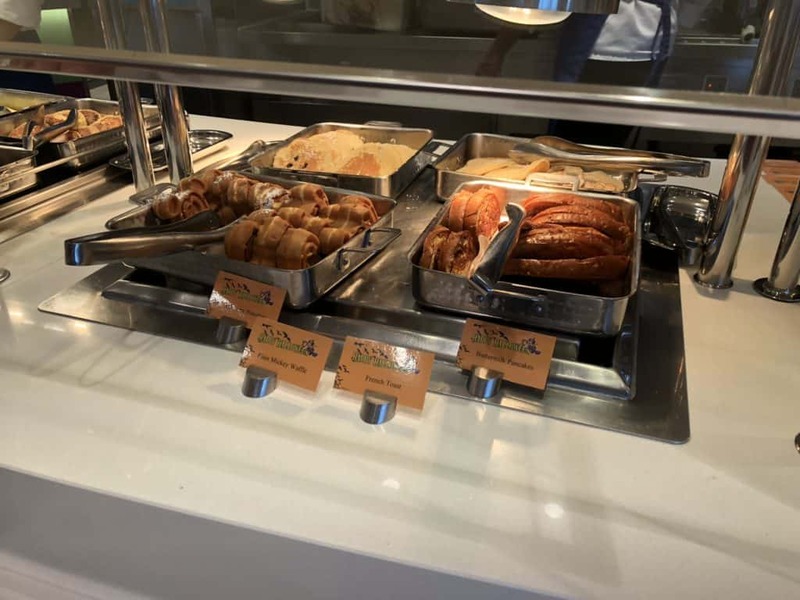 This is always one of the highlights of any Disney cruise for me. 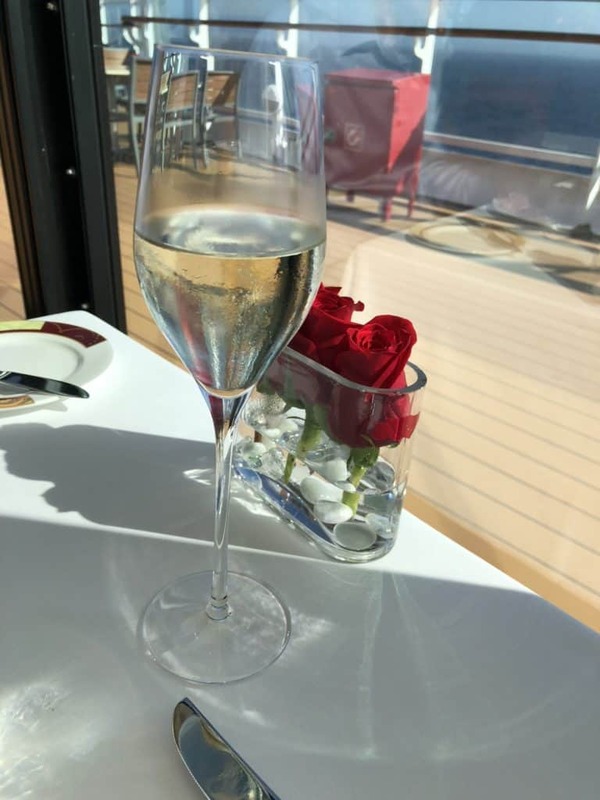 DH had been to Palo Brunch on Disney Fantasy, but this was his first time on the Wonder. I was interested to see how he compared the two. It is always good to see familiar faces so I was pleased to see Judy. I first met her on my first Disney Wonder cruise. She has been on the ship since is was launched – so almost 20 years! She gave us a really nice table by the window towards the back of the restaurant. As usual, she took us on a tour of the buffet and explained the cooked options. 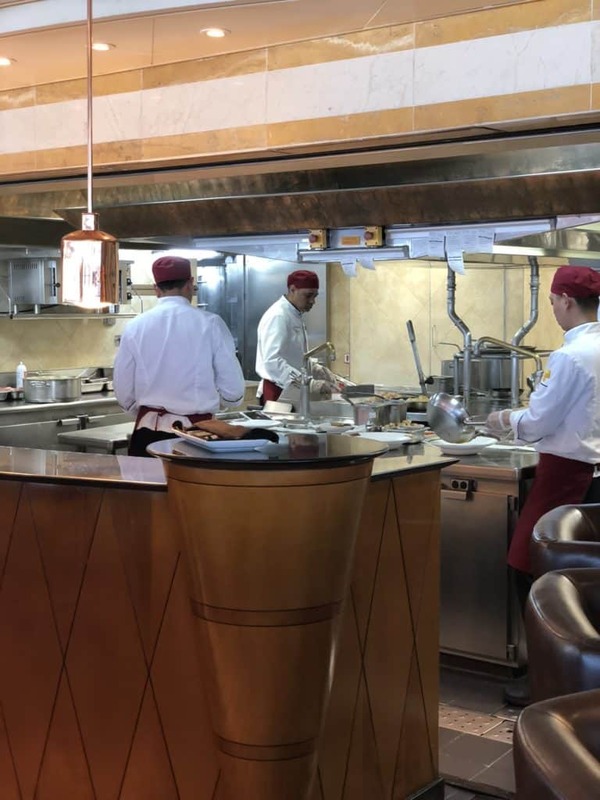 They are displayed on the counter in front of the open kitchen as well as being written down on the menu. Judy brought us the menu and the complimentary Prosecco. 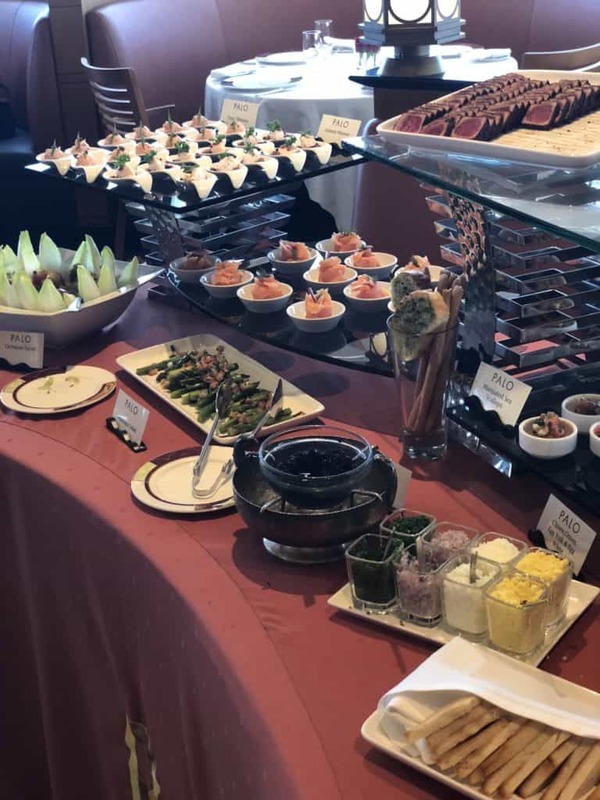 To be honest I am much more interested in the buffet selections that the hot menu items. 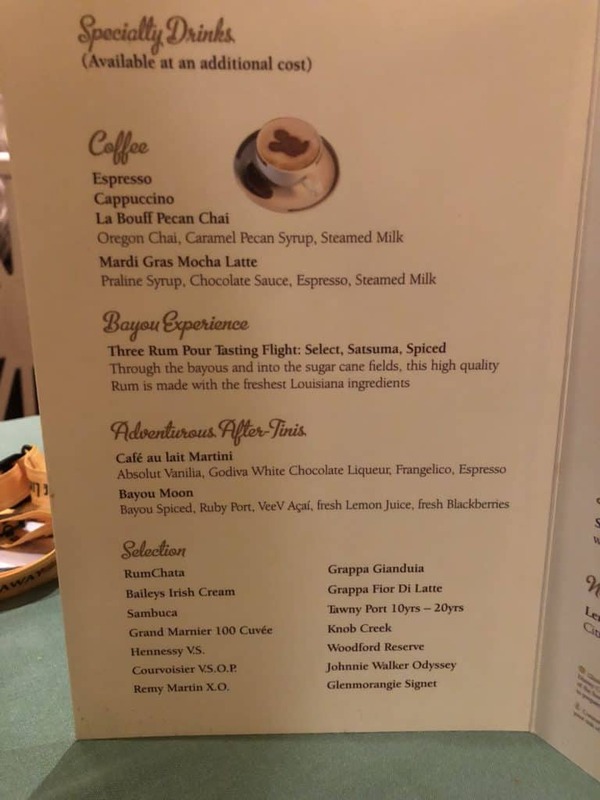 DH ordered another coffee to see if it was any better than the Cabanas offering. He said it was much better. I do not eat meat, but there is a huge selection of vegetarian items and fish. DH eats pretty much anything! One day I want to take my daughter to Palo. She is vegan, but I know that Disney is great at catering for all kinds of different diets. Judy took us on a tour of the Palo buffet items. It is always difficult knowing where to start as there is so much choice. 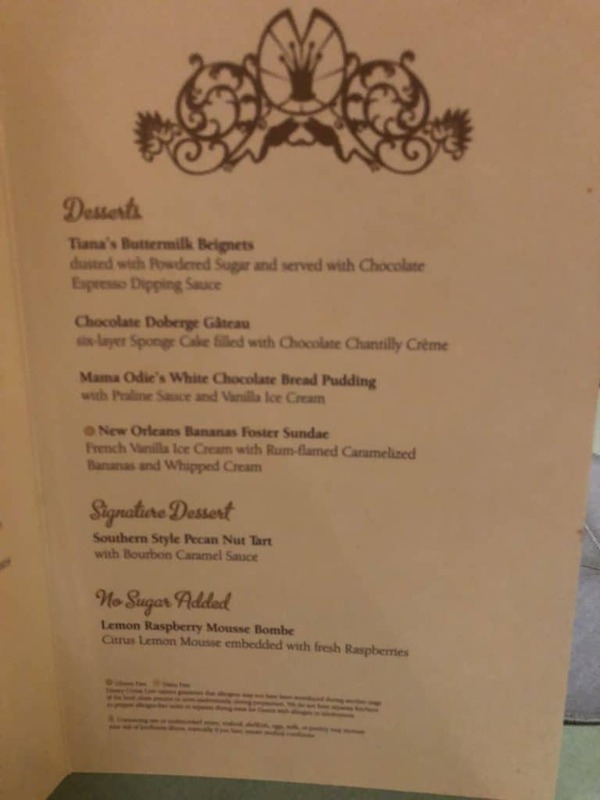 My favorite is the shrimp, the crab legs and the salmon mousse. I always indulge in the caviar too. Really I would just be happy with the seafood section! 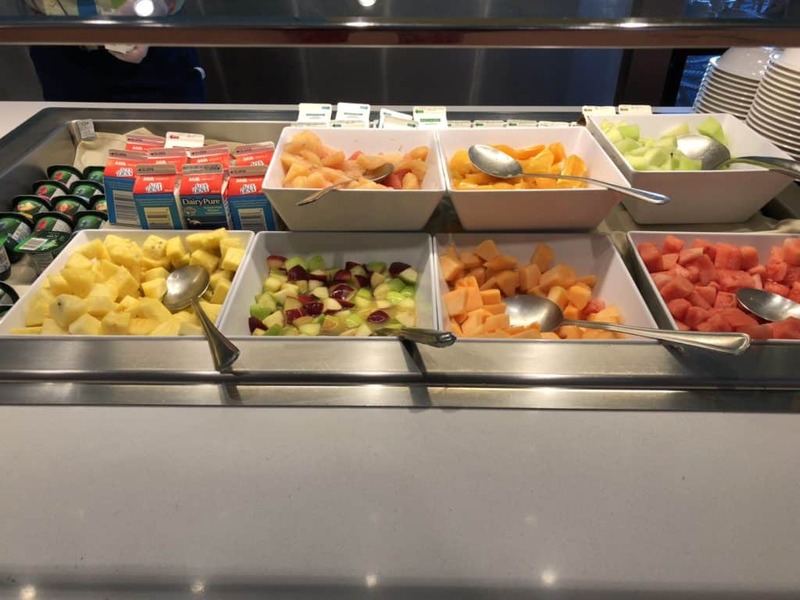 There is so much to choose from and it tastes so fresh. Another favorite of mine is the cheese. 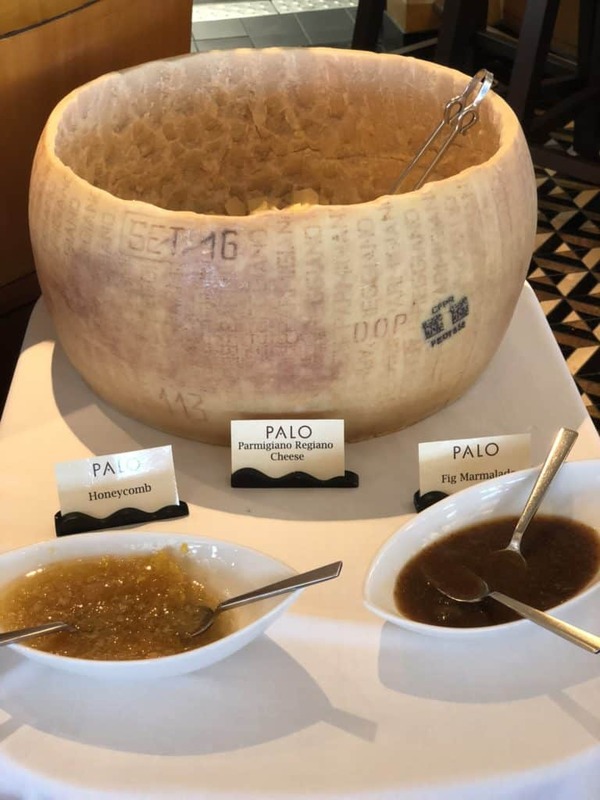 Particularly the amazing parmesan! I was trying not to overindulge too much but it really is a challenge! There is a large selection on the menu and I never know quite what to choose. 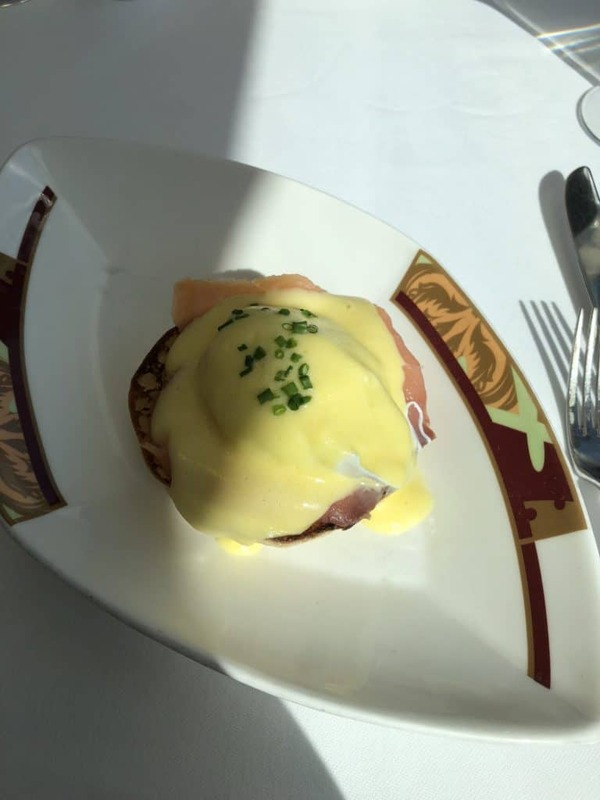 I wanted to try something different so chose the Eggs Florentine. I enjoyed it but I prefer the buffet items. 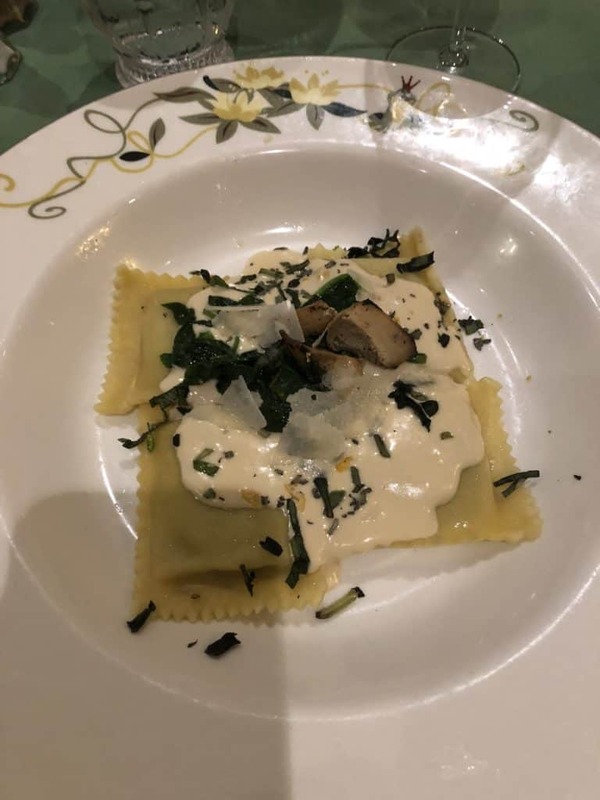 I also ordered the Artichoke Ravioli. Far too much food, but Judy was insistent. Well, that is my excuse anyway! 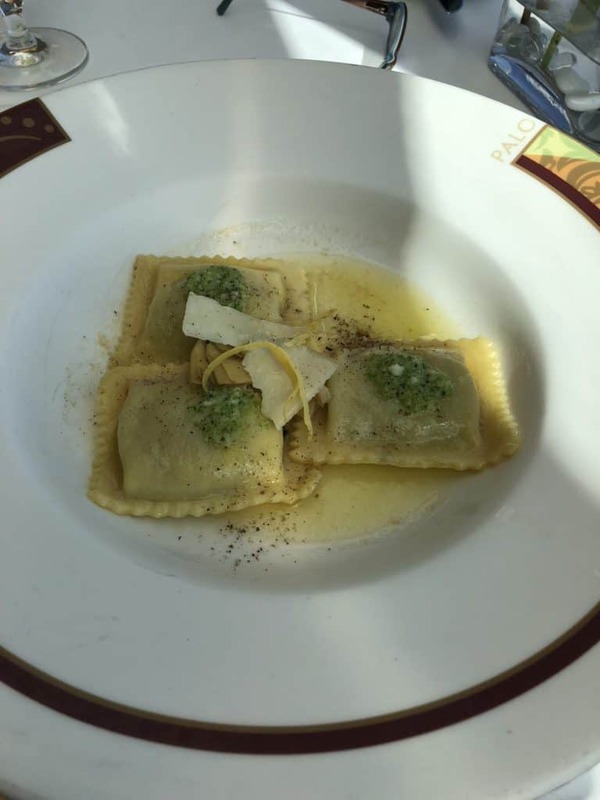 I wasn’t really a fan of the Ravioli. 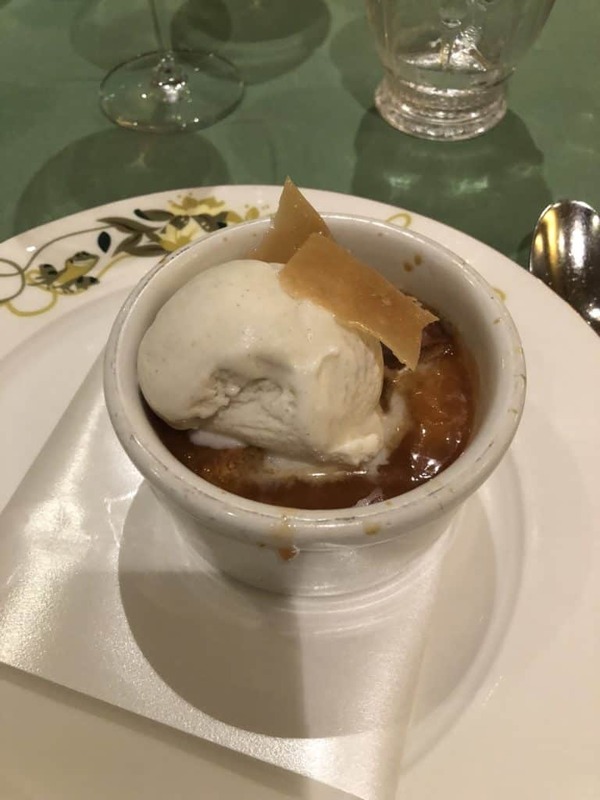 It didn’t have much of it as it wasn’t that special and I needed to save room for dessert! 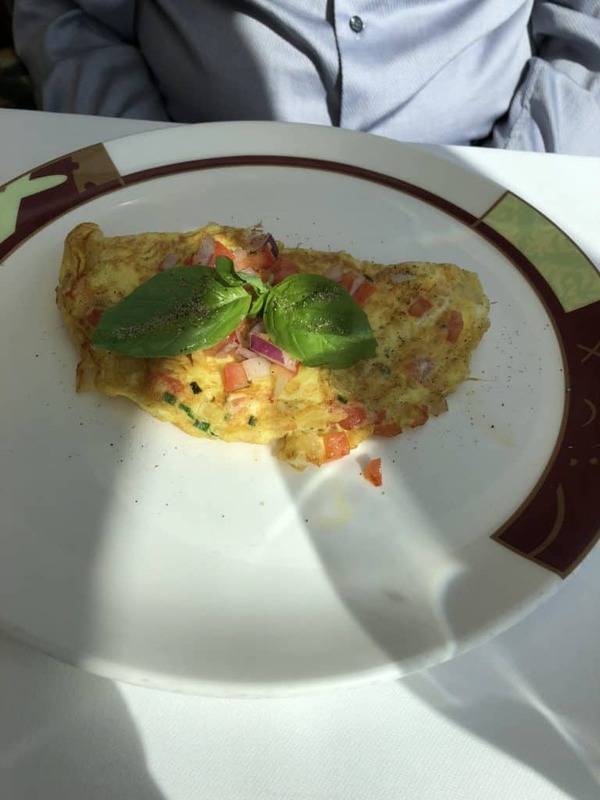 DH had the Tomato and Onion Omelet and said it was good. Like me though he would rather have skipped the hot entrees and just had the buffet items. I needed to pause for a while before braving the dessert table. I walked around and took more photos. Palo really wasn’t that busy and there were quite a lot of empty tables. It is good that they don’t have it too crowded. Now for the desserts. 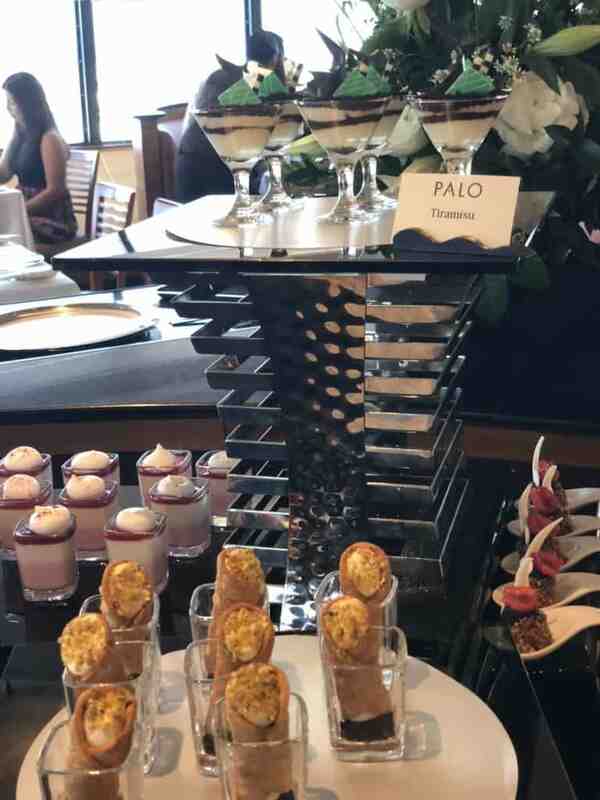 I realized that I have never had anything from the pastry table in all the many times I have been to Palo Brunch. However, I know what I like on the dessert table so headed there instead. 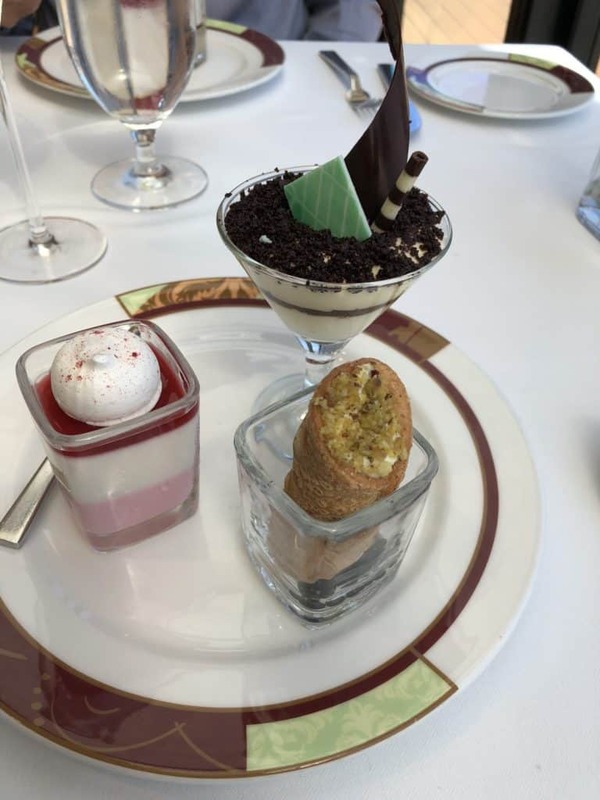 I chose the Panacotta, Tiramisu and the Cannoli. 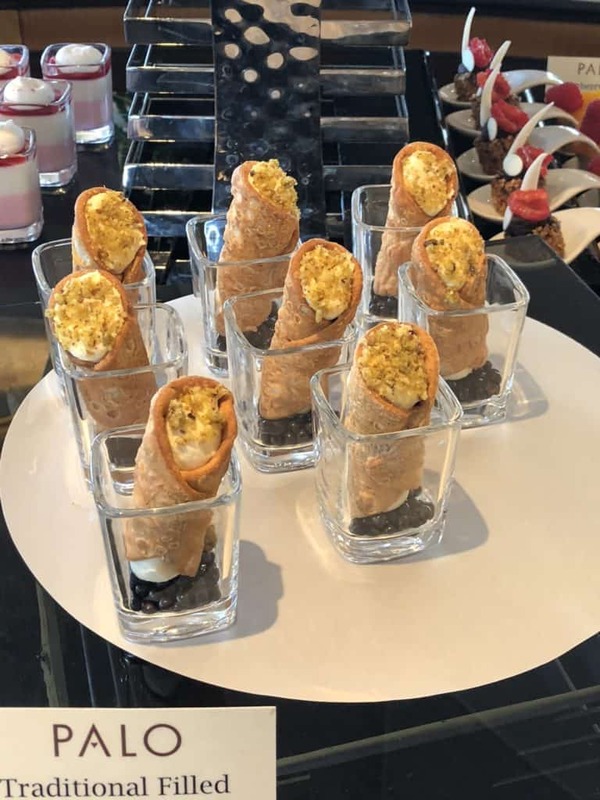 I tried the Cannoli first and decided not to eat the rest of it. I had never tried it before and discovered I didn’t really like it! The Pannacotta is a real favorite of mine though. The Tiramisu was also delicious. Just when we really thought it was not possible to eat anymore, Judy arrived at the table with a chocolate dessert. 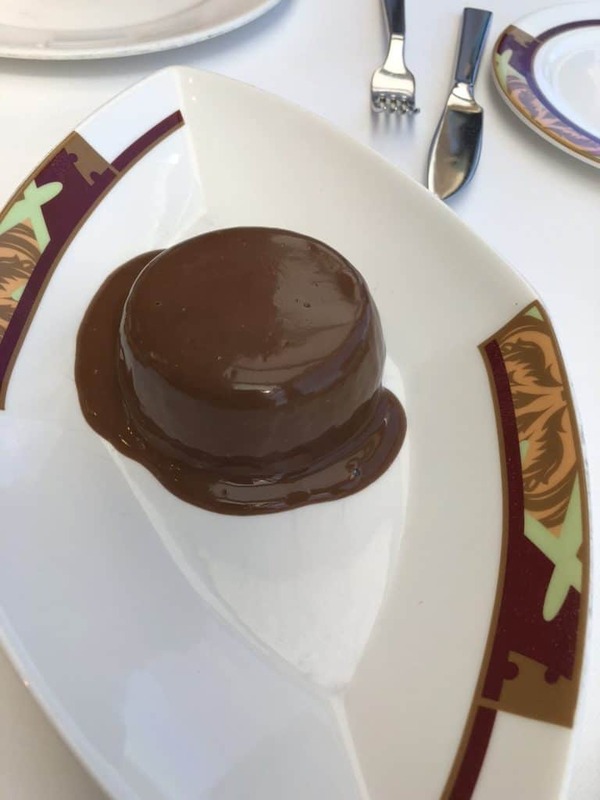 I am not a chocolate dessert fan, but DH certainly is. 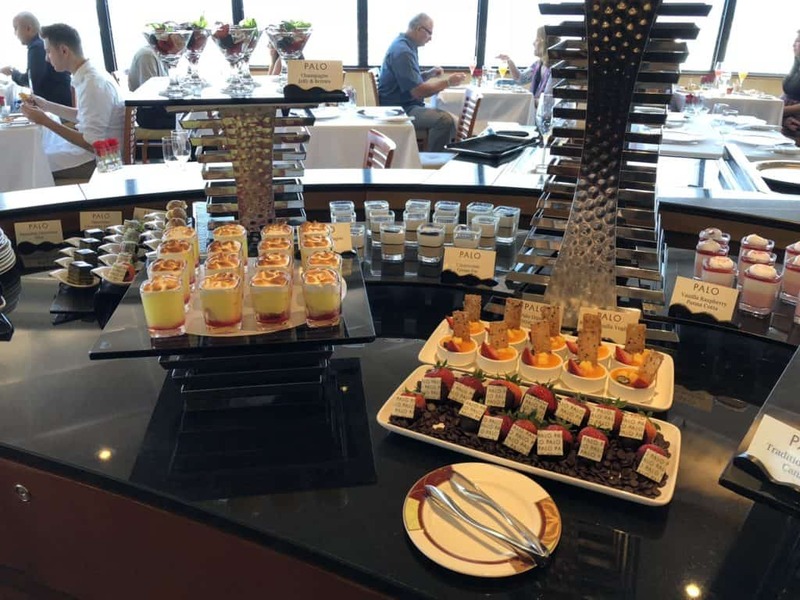 He said that it was the best thing he had ever tasted on a cruise. We were in that post Palo Brunch sleepy and way too full phase. Where better to go now than The Rainforest Room? 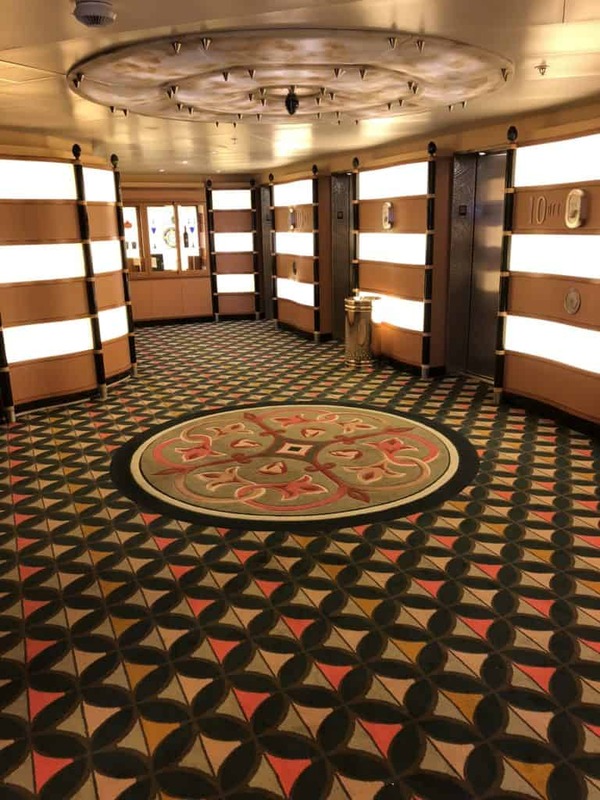 We spent a lot of time in there on this cruise. It is pricey but we both think that it is worth it. One thing that we realized that we forgot yesterday was to ask for the scrub at The Rainforest. When we were on the Disney Fantasy last year you could have them any time you asked. There were three types. Citrus, lavender and chocolate. However, when we asked for a scrub this time we were told that were only allowed to have two per person. I really thought that this was bad practice. Disney cruise line is now known for taking benefits away and this just really didn’t sit well with me. The pass is expensive and I am sure that the scrubs really weren’t hurting their bottom line! I noticed too that there was a notice about Day Passes. Usually, these have been available online before you cruise, but not on board. Now they were advertising a Day Pass for $16 and a Deluxe Day Pass for $27. I asked what you got with the Deluxe Pass and the lady told me it includes a scrub. So $11 extra for the scrub! It’s nice but not that nice. Anyway, despite being annoyed about the loss of scrub benefits, we still both really enjoyed The Rainforest Room. It really isn’t anywhere near as good as on the Disney Fantasy. 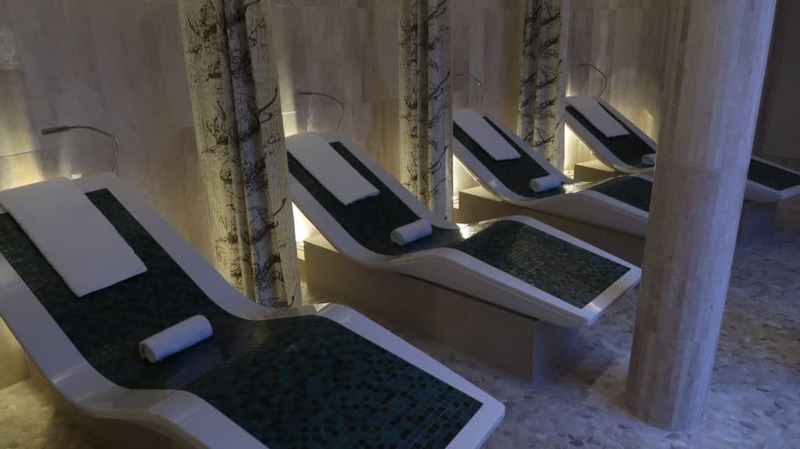 However, it is still a great place to escape and relax. 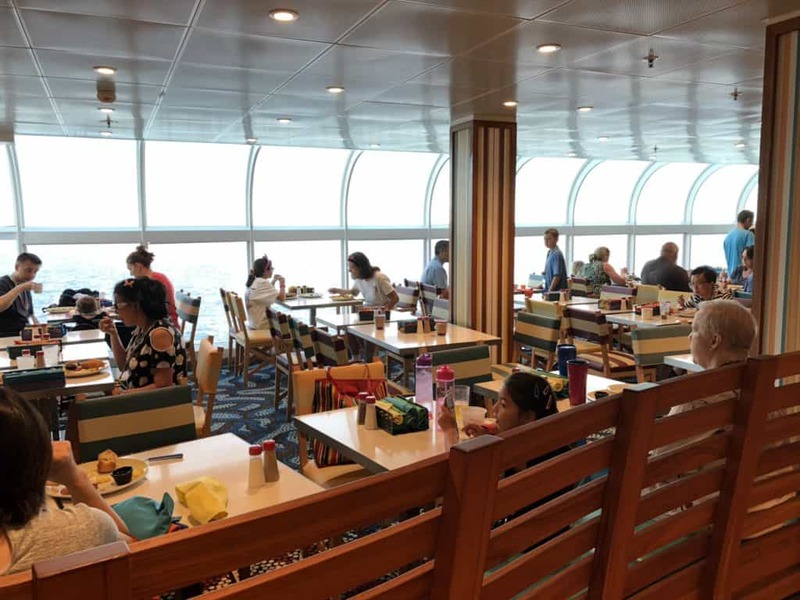 My experience is that the rainforest on the Disney Wonder just doesn’t get busy. Probably because it is quite pricey and if anyone has been on the Fantasy or the Dream they are going to compare it. The price for The Rainforest is the same whichever of the Disney ships you are sailing on. We spent a couple of hours in The Rainforest Room. Then we went to the adult pool for a while. It was pretty busy, but the weather was so nice we couldn’t resist the pool. When we had too much of the heat we went inside Cove Cafe to read. It never seemed to get busy in there either. It’s a nice place to sit and talk or read a book. They have some magazines in there, but I always brought a book. We had an incredibly lazy day. We decided to go back to the stateroom and we sat on the balcony for hours. 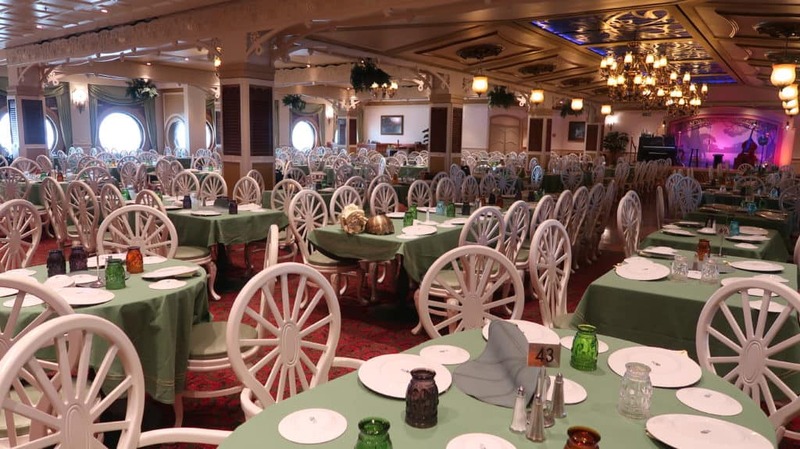 I have stayed in all types of staterooms on the Disney ships. Obviously, my favorite is the balcony staterooms. 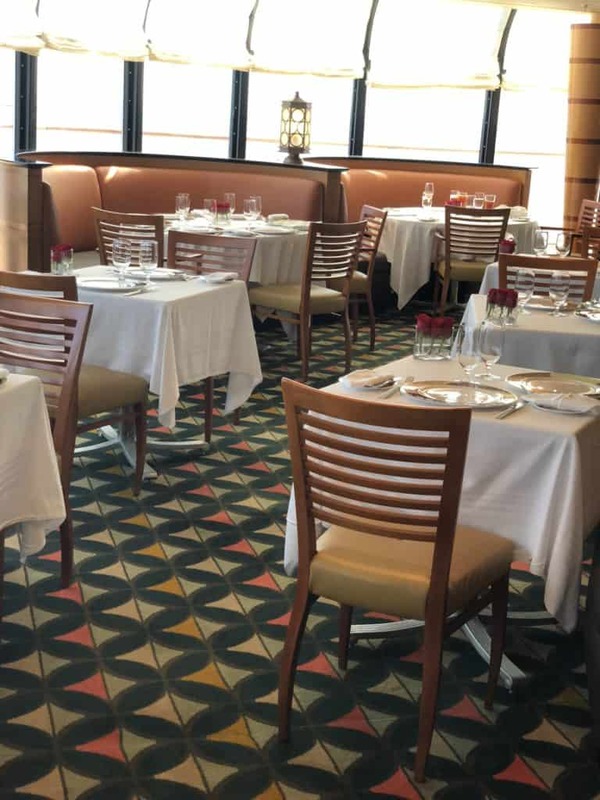 However, often they are so much more expensive than the Inside or Outside staterooms, it can be a difficult choice. I think I found a nice compromise with the White Wall Verandah stateroom. I know some people do not like them, but for us, it was not worth the extra money to get the clear glass verandah. I would definitely do the White Wall again if it was available. One thing I rarely do is order Room Service on a Disney Cruise. 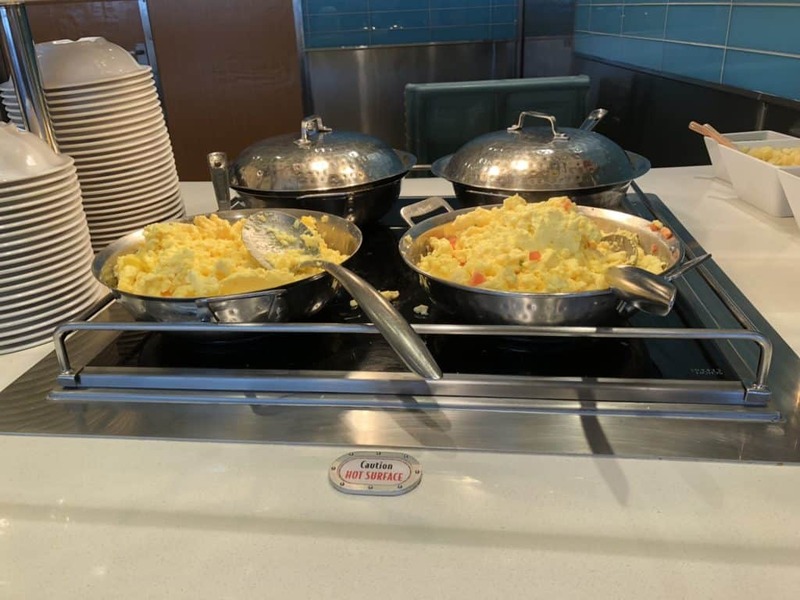 Even though it is free there is so much food available on the ship it is rare I actually even remember there is Room Service. 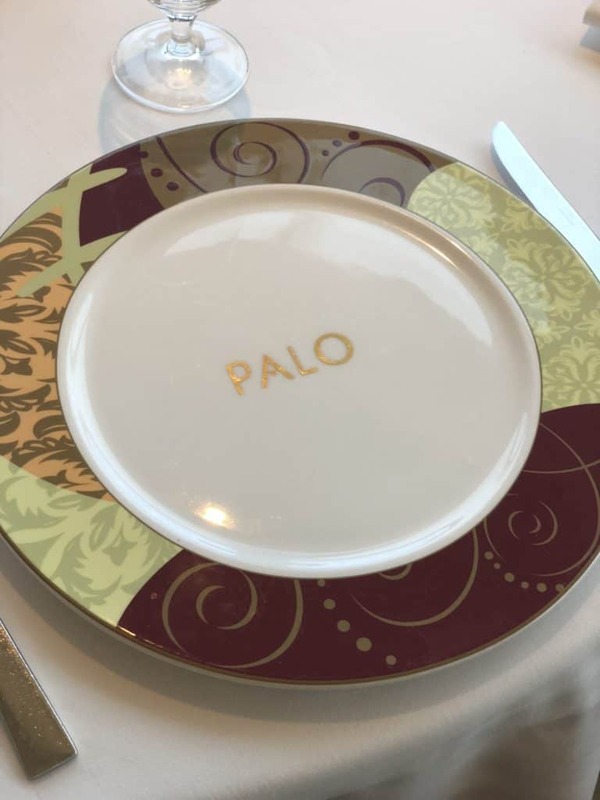 However, it had been a while since Palo Brunch and I wanted a snack. The All Hands on Deck Cheese Plate seemed like the perfect thing to enjoy on the balcony. When we called they said it would be a 45-minute wait, but it arrived in less than half an hour. Always remember to tip the server who brings this to your room. We weren’t interested in the show tonight, so decided to go back to the Quiet Cove Pool again. As it was now 5.45 there were only another couple of people there. We really enjoy going at quieter times. The weather was still great and the pool is nicely heated. We just relaxed in the pool for a while and then the jacuzzi. We really had spent a day doing very little at all, but that is such a contrast to our normal lives it was a great escape! I had wondered how different the experience would be on a Disney ship just cruising as adults with no children. I would much rather my children could have sailed too but circumstances meant I couldn’t take them with me. They were very understanding, but it was sad they couldn’t be there. To others, though who are thinking about sailing on a Disney cruise without children I would say definitely go for it. There is so much of the ship which is dedicated just to adults it has a nice balance. The adult only areas are even bigger on the Disney Fantasy and Dream so those would be great ships to sail on without children too. Our very cheerful server Netasha was there to greet us. We had a table well back from the stage area, but I was fine with that. 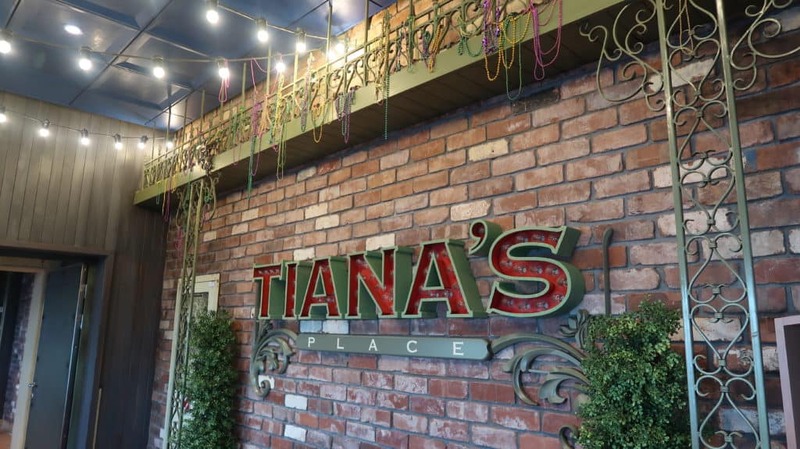 A very common complaint about Tiana’s Place is that it is loud. It really is. Too loud. The live music is a great feature, but it is overwhelming. I am not sure why nothing is ever done about this as it is a pretty consistent complaint. The attention to detail in Tiana’s Place is just amazing. The beautiful design of the dinnerware is just stunning. 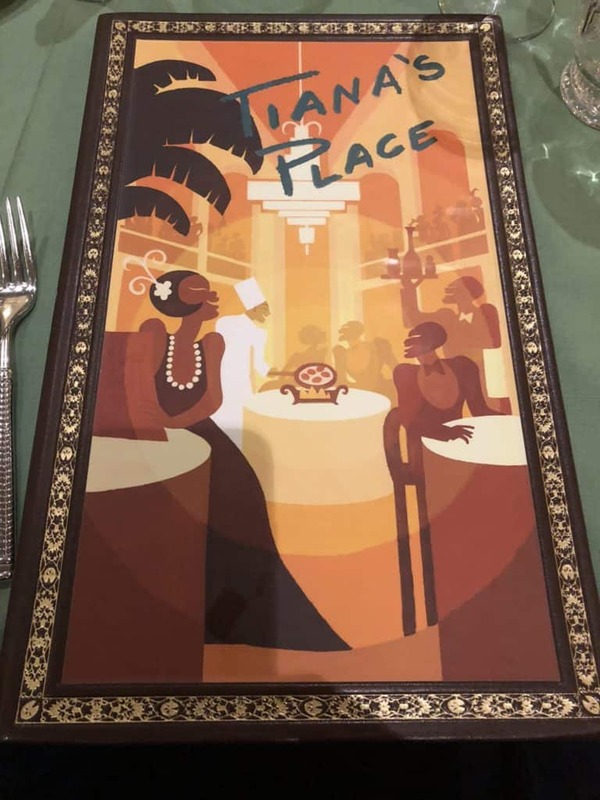 The menu at Tiana’s Place has, as you would expect, New Orleans, influenced cuisine. This is not my favorite style of food, and there really aren’t many things that I enjoy on the menu. A lot of the menu items contain meat or are overly spiced. However, the thing that I enjoy about Tiana’s is the show and the atmosphere. 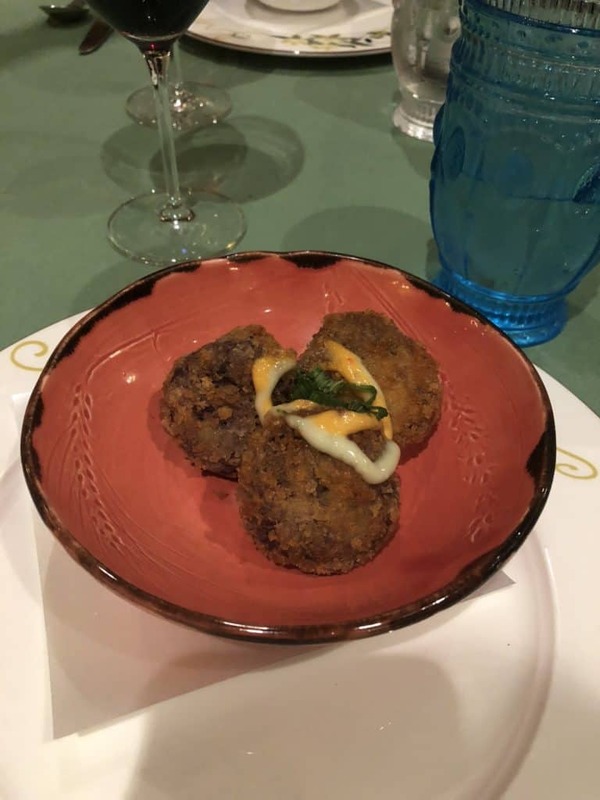 DH chose the Boudin Sausage Fritters and said they were just OK, but they were not that flavorful. I couldn’t find anything on the Appetizer menu. The Appetizers mostly contain meat. The fish option is Ahi Tuna Tartare and I don’t like tuna. So I chose two things from the Soup and Salad selection. 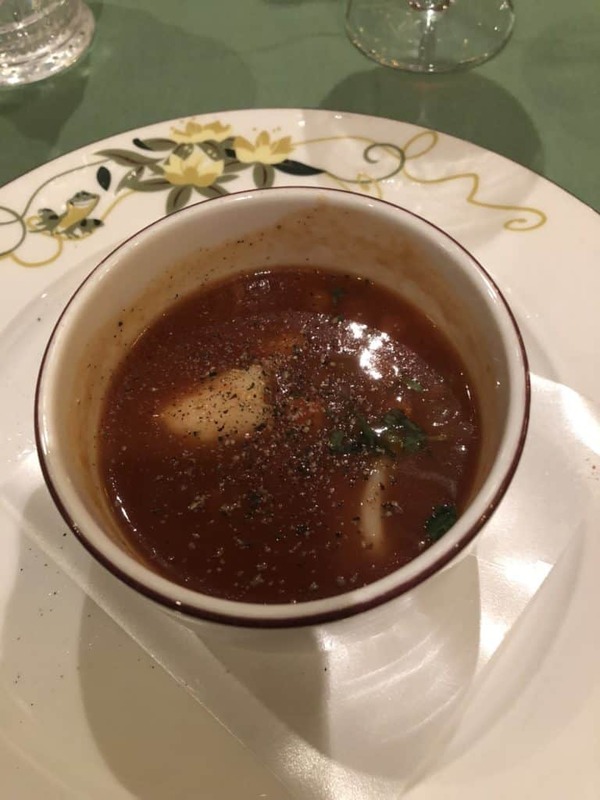 I had the New Orleans Seafood Pepper Pot. This is just OK. I had it last time I was here and mostly chose it again because options were limited. However, I enjoyed it. The scallops were really tasty. 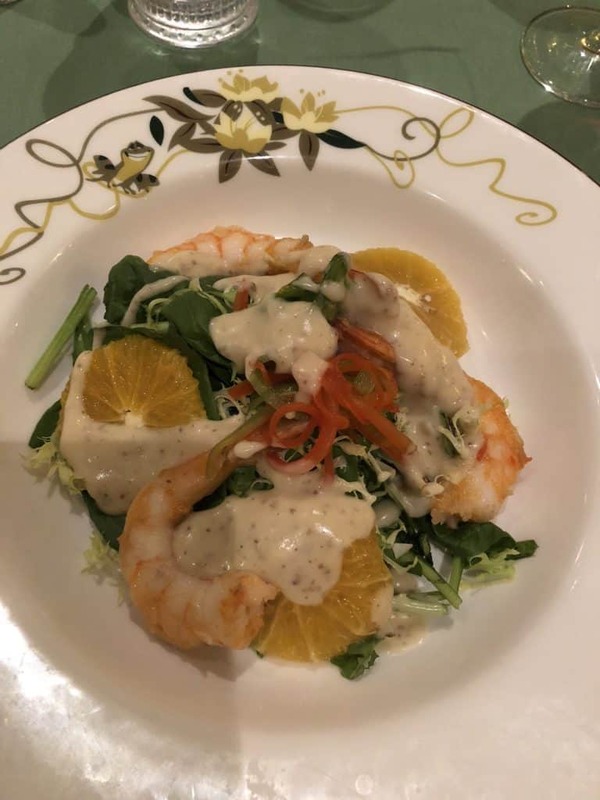 I also had the Pickled Gulf Shrimp and Satsuma Orange Salad. This was exceptionally good. The band had been playing for a while now and I was beginning to wonder where Tiana was. She performs on stage and then circles the room to talk to guests. However, she still wasn’t there. 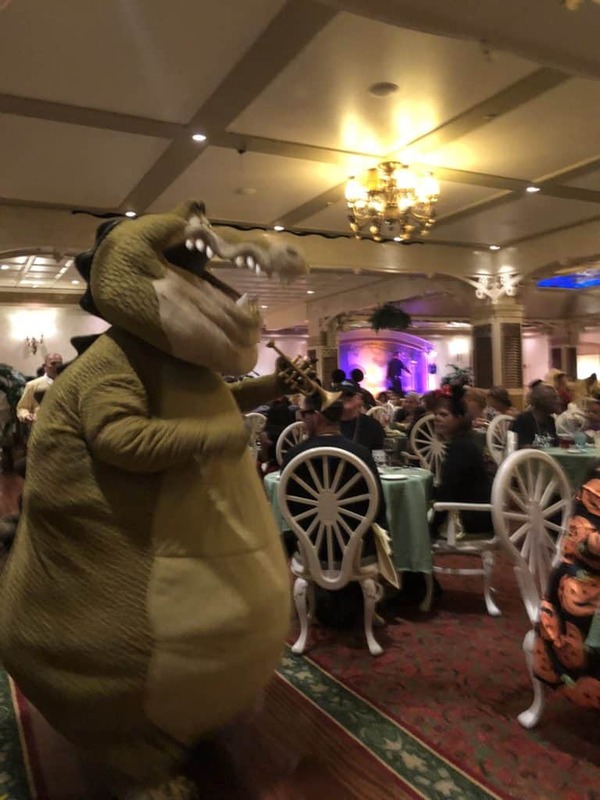 Louis the Alligator was circling the restaurant, but still no sign of Tiana. By this point, I was questioning whether I remembered correctly. 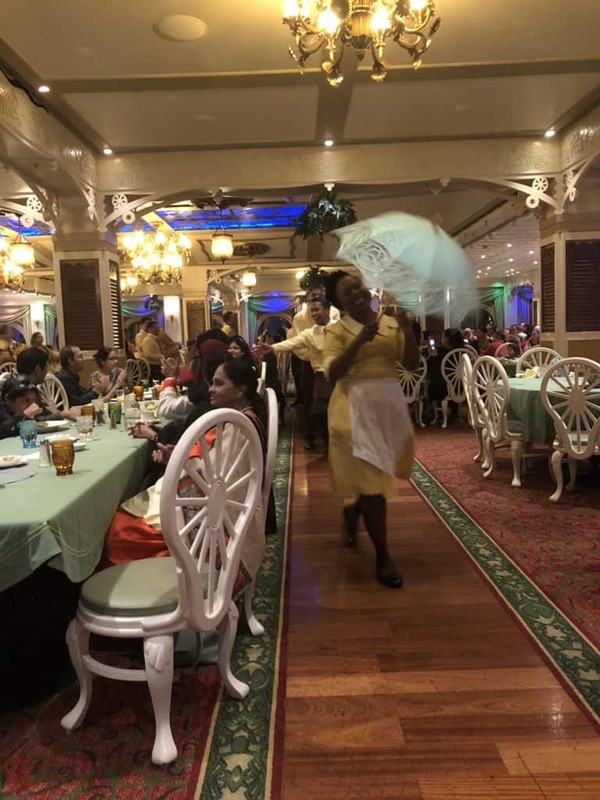 Perhaps Tiana was due to appear on the second night in the restaurant. Now to the entrees. Again I really didn’t have very much to choose from. The fish entree is Cajun Spiced Sea Bass. I don’t enjoy Cajun spiced food and the other thing putting me off was it has fennel with it. One of the few vegetables I really don’t enjoy it fennel. So the only choice I was left with was either Eudora’s Artichoke Ravioli or Honey Roasted Butternut Squash. I chose the Artichoke Ravioli even though I had eaten that this morning at the Palo Brunch. Surprisingly it was actually quite a lot better than the Palo ravioli. 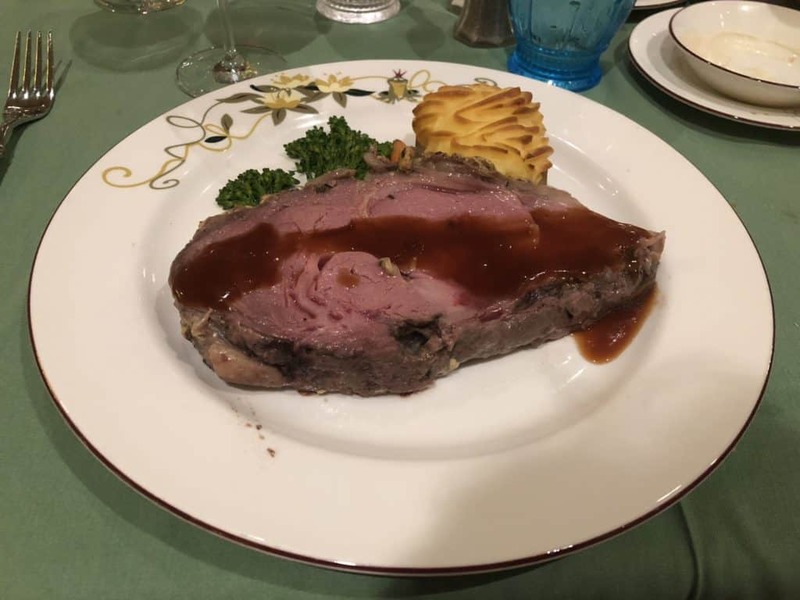 DH chose the Big Daddy’s Roasted Prime-Rib of Beef. With all this talk about the menu, I had forgotten to mention the best bit. 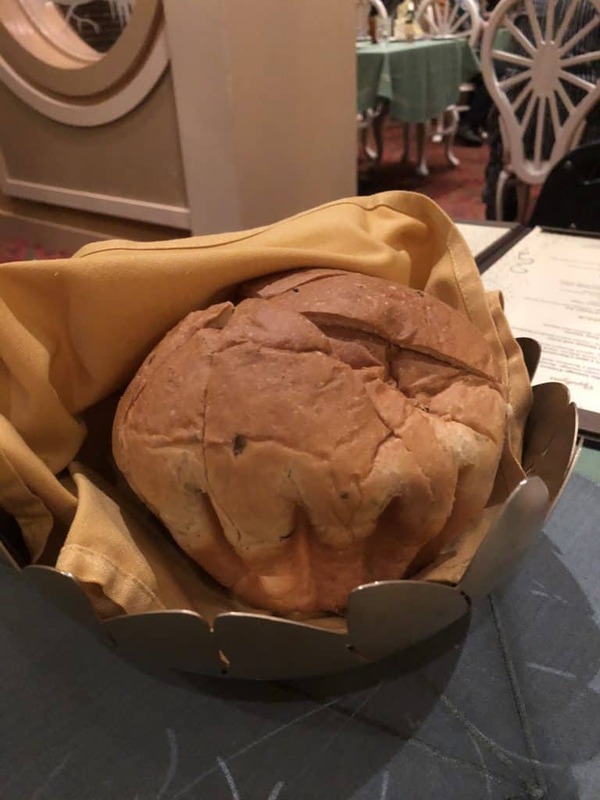 The bread! 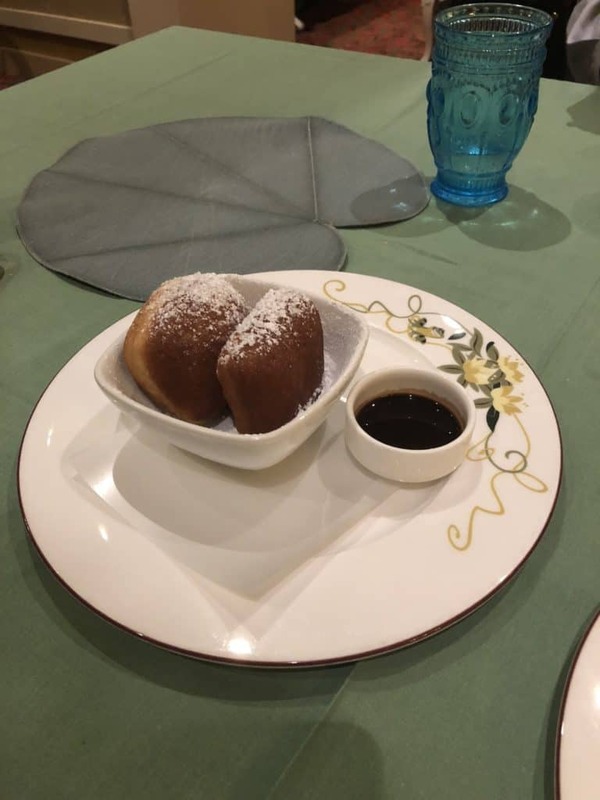 It was Herbed Brioche with Roasted Onion Dip. Definitely the highlight of the meal for me! Well except perhaps for the dessert. 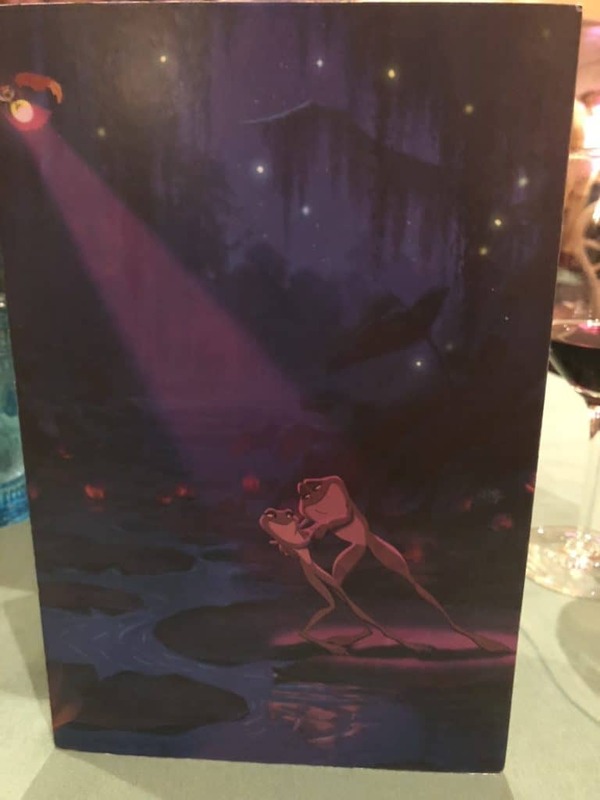 Now I was finally realizing that Tiana herself was going to be a no-show. I kept optimistically thinking that she was just a bit late! But no. She didn’t appear at all. This was really disappointing and no explanation was given. I do understand that sometimes things don’t happen as planned, but it was still disappointing. I hoped that maybe they would make up for it with Tiana appearing next time.. Sadly this didn’t happen. I had to cheer myself up with the dessert menu instead! The menu itself is really cute as it lights up. The thing that everyone always talks about of course is Tiana’s Buttermilk Beignets. I had to order these. I also wanted to try Mama Odie’s White Chocolate Bread Pudding. It was good but I was so full I only had a couple of bites. 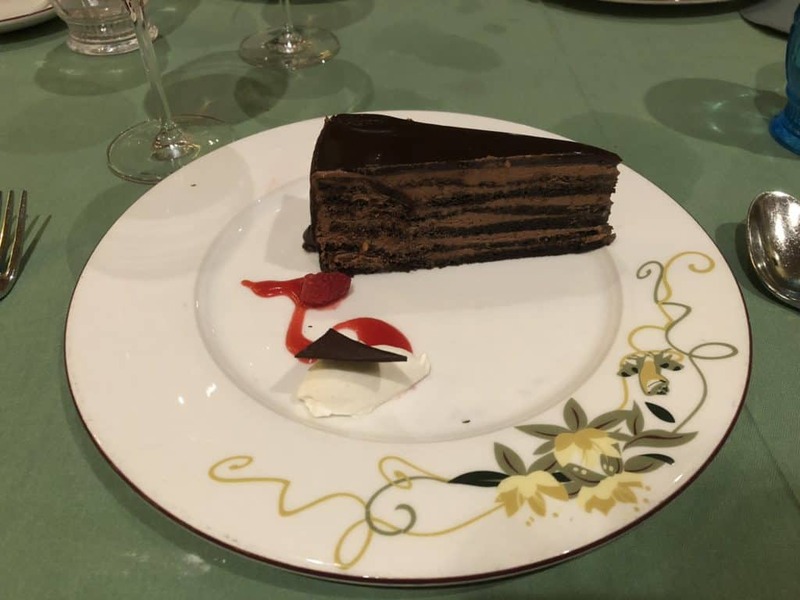 DH ordered the Chocolate Doberge Gateau. He said that it was really good. Even though Tiana couldn’t make it this evening the party still went with a swing. All the servers danced around the room and invited everyone to join them. 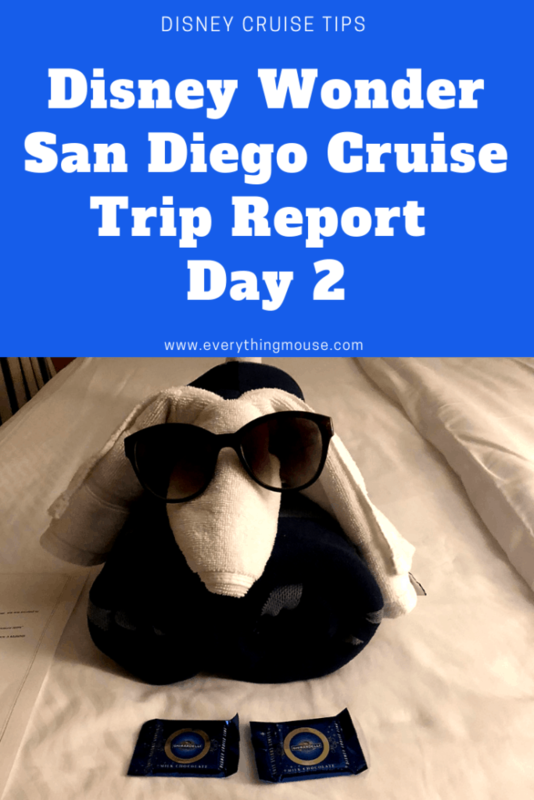 It was one of those great Disney cruise moments and we really enjoyed joining in. We had plans to go to the Cadillac Lounge, but we were pretty tired at this point. All that relaxing makes you sleepy! 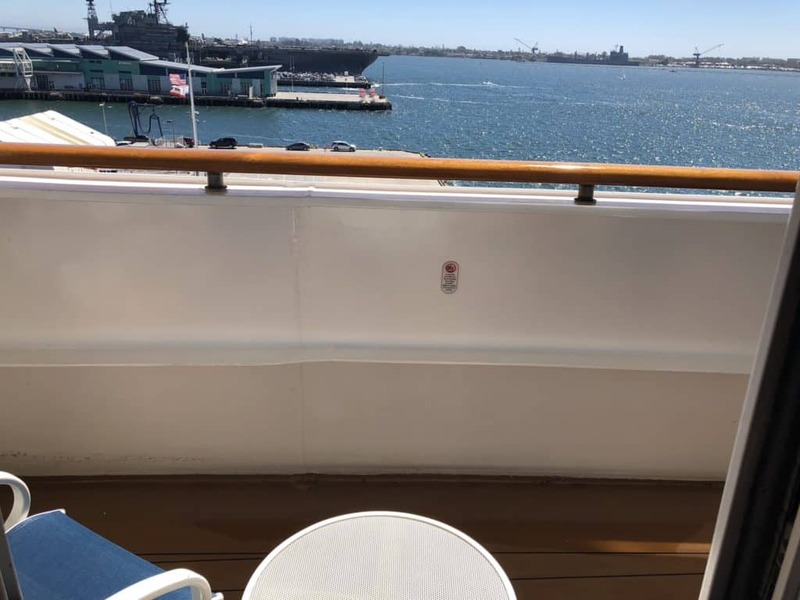 As a compromise, we decided to walk around Deck 4 Promenade Deck. It was so peaceful out there it was a great end to the day. 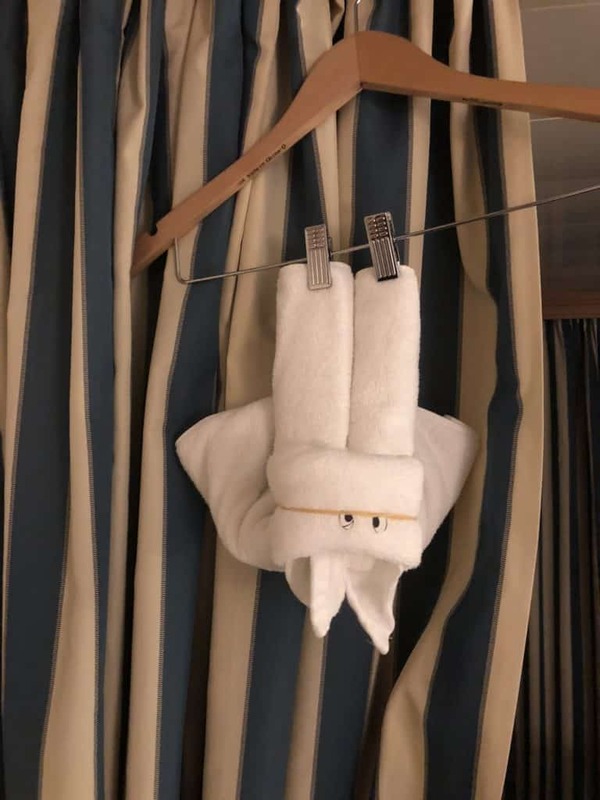 When we got back to the stateroom there was the usual towel animal waiting for us. Our stateroom host did such a great job. Not just at cleaning but at tidying things up. He even put cable ties on the cables to neaten things up on the desk.